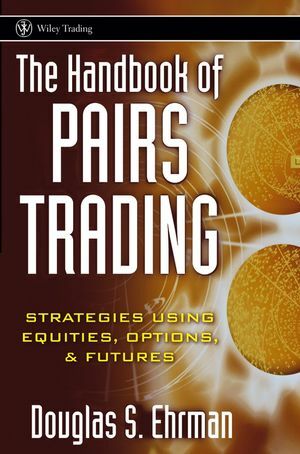 Learn both the theory and practice of pairs trading, why it is consistently profitable, and how you can apply the strategies in your own trading with this valuable guide. Author Douglas Ehrman covers pairs trading involving stocks, options on stocks, and futures contracts, and explains how this type of trading allows you to profit from the changing price relationship of securities. In addition to a comprehensive discussion of the theories involved, he also includes practical examples that will to help you put what you've learned into practice. Douglas S. Ehrman is a hedge fund manager and a leading authority on pairs trading. He is one of the founders and the Chief Executive Officer of AlphAmerica Asset Management LLC in Chicago. He also served as the chief executive officer of AlphAmerica Financial, Inc., the company that operated PairsTrading.com prior to its merger with PairTrader.com. Douglas S. Ehrman is a hedge fund manager and a leading authority on pairs trading. He is one of the founders and the Chief Executive Officer of AlphAmerica Asset Management LLC in Chicago. He also served as the chief executive officer of AlphAmerica Financial, Inc., the company that operated PairsTrading.com prior to its merger with PairTrader.com. Mr. Ehrman holds several securities licenses and held several positions with prominent investment firms prior to launching his own enterprise. He has been a featured speaker at several investment conferences, the editor of a daily research newsletter, and has been a guest on the CNN Financial Network to discuss pairs trading and market-neutral strategies. PART ONE: The Market-Neutral Element. Chapter 1: Pairs Trading: A Brief History. Chapter 3: The Market-Neutral Investment Process. Chapter 4: Market Neutrality and Pairs Trading. PART TWO: The Arbitrage Element. Chapter 6: Arbitrage and Pairs Trading. PART THREE: The Technical Analysis Element. Chapter 7: Technical Tools and Indicators. Chapter 8: The Technicals of Pairs Trading. PART FOUR: The Unified Theory. Chapter 9: Reviewing the Elements. Chapter 10: Trading Pairs Fundamentally. Chapter 11: The Technical Approach. Chapter 13: The Unified Pairs Trading Theory. PART FIVE: Advanced Strategies and Examples. Chapter 14: Options Basics: Terms and Strategies. Chapter 15: Pairs Trading with Options. Chapter 16: Futures and Currencies.